Mummy, can you bake me these for me? My boy said this as he held a printout from Ocean Spray with a picture of cranberry muffins. I wonder if my boy has gone through my mountainous pile of recipes but I couldn't detect any traces or mess made from tossing and browsing. In regardless, I'm giving him the green light to do this sort of recipe browsing as I really love to hear my boy's opinions so that I will know the kind of food that he likes and wants me to cook. I always trust recipes that are printed at the back of food packaging and also those that are published some food ingredient websites like White Wings and Kraft. I guess it is their reputation are at stack if their recipes don't reproduce. With no doubt, this stir-and-bake recipe from Ocean Spray works perfectly with its standard bag of dried cranberries and made these wonderfully moist and delicious muffins. Here, I like to recommend this fantastic recipe. Thanks, Mum... These muffins are yummy. Thanks, sweetie... You have found a wonderful cranberry muffin recipe for me. Whisk all wet ingredients together in a mixing bowl. Then, sift in all dry ingredients including the sugars. Moist and delicious! And so easy to bake! Before proceeding on to the recipe, I like to make a disclaimer here that I'm not promoting any products from Ocean Spray here. This recipe is used based on my personal decision. Preheat oven to 200°C or 160°C fan forced. Grease or line a 12-case muffin tin. 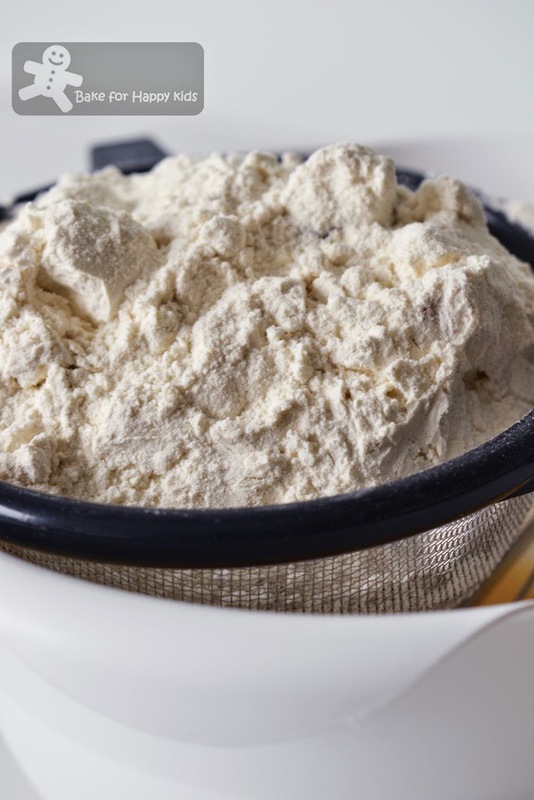 Combine flour, sugars, baking powder and salt in a medium mixing bowl. 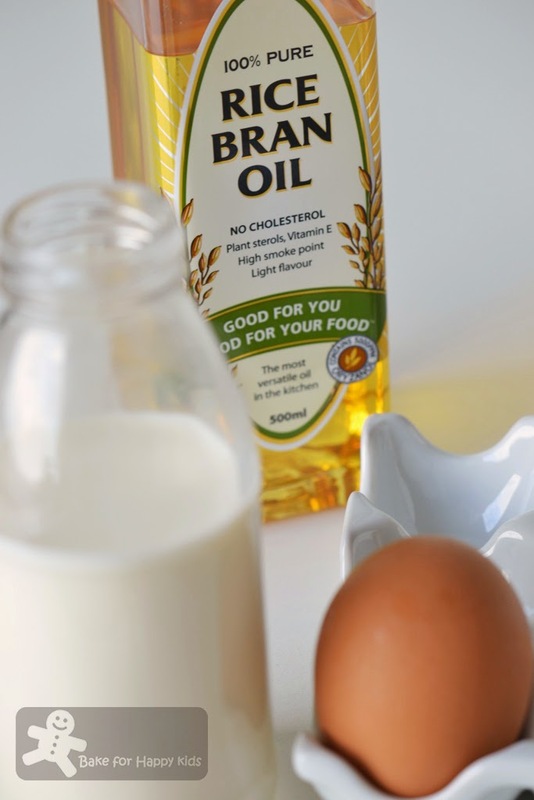 In a separate mixing bowl combine milk, oil and egg. Add the liquid ingredients to the dry ingredients, stirring just until dry ingredients are moist. Stir in the cranberries. Fill each muffin case 3/4 of the way full with mixture. Sprinkle the top of each muffin with sugar. Bake for 18 to 20 mins or until golden brown. 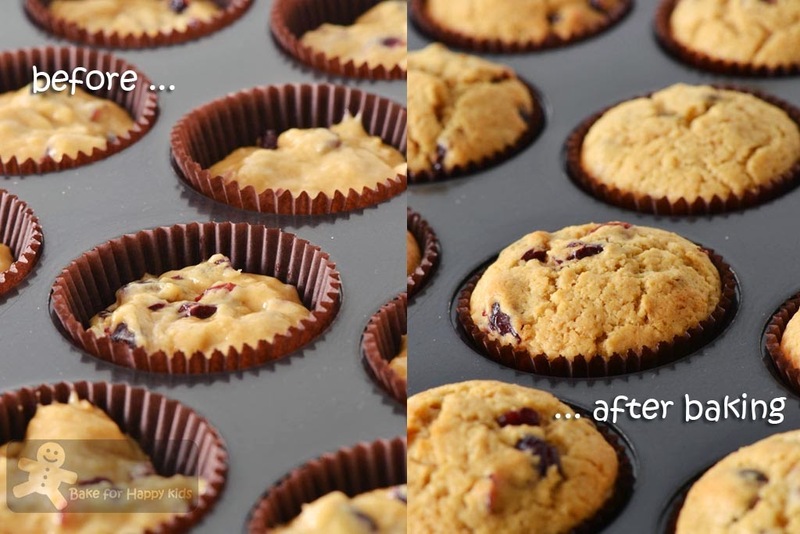 (I have baked mine at 160°C fan forced for 20 mins) Leave to cool for 5 mins in muffin tin then remove the muffins from the tin and cool on a wire. *The sweetness of these muffins is just right for us and I wouldn't recommend adjusting the amount of sugar in this recipe. I have all the ingredients except cranberries, I guess I can put chocolate chips inside.. No butter, so lagi easy and convenient.. I like simple recipes (coz I'm very lazy and don't like washing too many stuffs), so I love stir-and-bake recipes.. Your muffins look so sweet and yummy, I can eat 10! 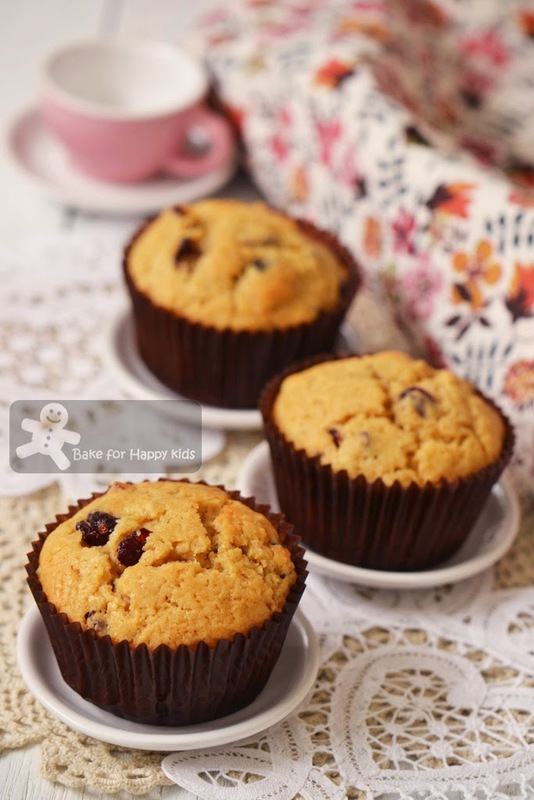 Zoe, u are such a brilliant mum, this muffin looks yummy even with simple steps. Definately a keeper, thanks for sharing. Hi Zoe, oh yes I use this brand too ... I read the printed info on the back of the packaging but I didn't take a look at the website. Thanks for the sharing. 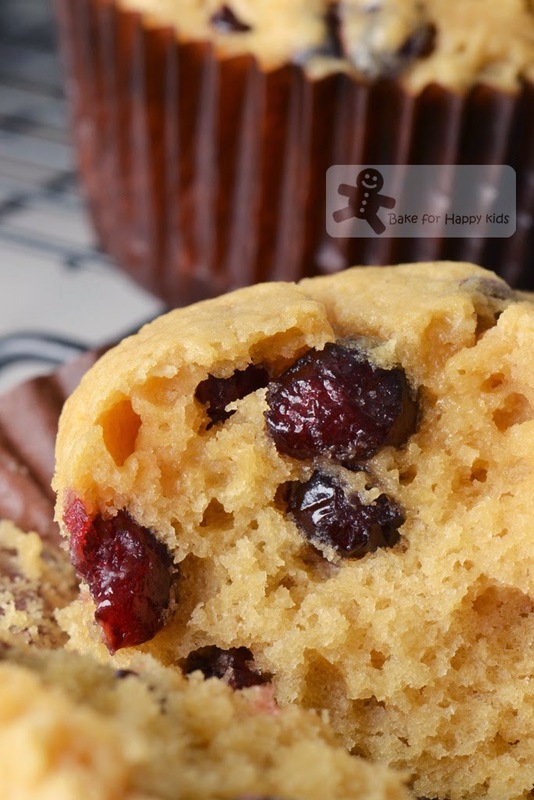 These cranberry muffins are so moist & yummy. Mmm......yum.....bet it must be very delicious!! Yes, I can see that it looks very moist on your last pic. 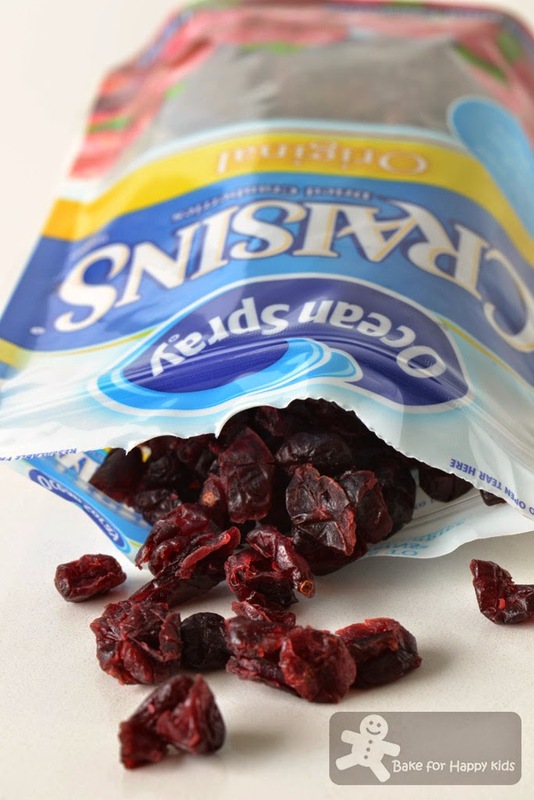 Zoe, you have just reminded me that I have got two packets of dried cranberries in my pantry. I bought it at marked down price as they are expiring early next year. So what am I waiting for? I want to bake these cranberry muffins! Sound like you're raising a future blogger! Fun story. Aww your son must really enjoy your baking, he even looks out recipes for u to make! Thanks to your son. He has helped to sieve through what you have missed out from that piles of recipes. Wonderful "hidden" recipe. Thanks Boy! Seriously yummy! I personally love baking banana muffins and I always add a bit more banana and oil than other standard recipes for a super moist and fluffy muffin! Wow, these pumpkin muffins look so good to eat, my mouth is watering. Thanks for your invitation to the event. I will make some pumpkin steamed bun roses. Looks so cute! Has nice color too. If it's not past 10 in the evening here, I'm making it right now. Are you almost ready to go to Japan? So jealous! Have a wonderful and safe trip. I'm so inspired now...after seeing the second amazing muffins you made, Zoe! These cranberry muffins the way you modified it is surely how I would have done it. Moist and super yummy!